ElevatedAdvanced performance fabric that looks and feels luxurious with sleek construction that lengthens and slims. Medelita personalized lab coats exude sophistication, confidence, and indelible aptitude. Allow us the opportunity to display your name and title - embroidered with prestige and perfection - in the manner you've earned. Our in-house service allows us to provide exemplary service to our customers and colleagues. We go to great lengths to ensure that each embroidered lab coat is perfectly sewn, inspected, and packaged. We are committed to working with you until you are 100% satisfied with your lab coat embroidery. 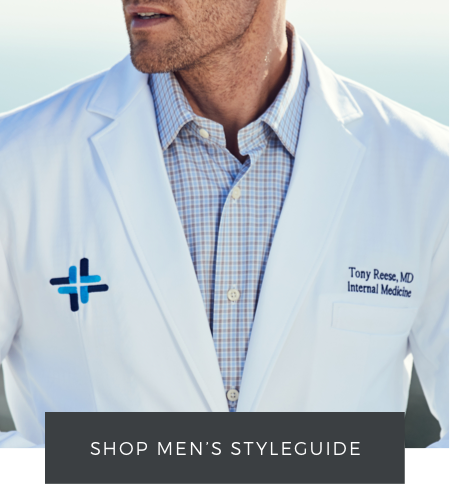 A well-fitting, high-quality lab coat sets you apart in your profession — and white coat embroidery puts a personal touch to a much-worn and much-loved item of clothing. 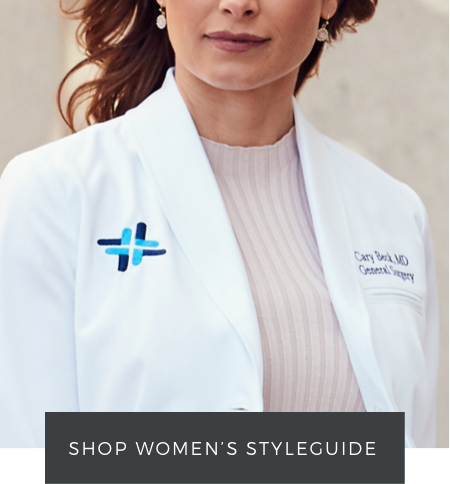 Embroidered lab coats display your name and title — or a specific logo — to help others know your credentials and your mission (and to ensure another physician never goes home with your beloved coat). Custom embroidery can be added to all Medelita jackets, according to your preferences. Our custom lab coats feature high-end embroidery sewn directly into the fabric, sans patches, for a monogrammed lab coat that feels truly premium and personalized.